Close up of an atlatl. As the embers begin to die down on a chilly fall evening, you look around the campfire at your extended family group. Everyone has had their fill of the elk meat. You toss the bone aside and begin to drift off to sleep underneath the rock overhang. You dream about the successful hunt several days earlier when you and your stealthy companions stalked the herd of elk. Before any of the animals were aware of your presence, you brandished your atlatl, launched a lethal, eight-foot dart made of river cane tipped with a razor-sharp flint point, and made the kill. The prehistoric people who camped at the Meadowcroft Rockshelter as early as 19,000 years ago would undoubtedly identify with this vignette. The atlatl (pronounced at-lat-tul) was ubiquitous. This simple weapon was a vital part of the prehistoric toolkit. Prehistoric people certainly understood its mechanical advantage over a spear thrown only with the hand. The atlatl is a launching stick. It increases the velocity of the dart and the force of impact on the target. It was superior to the older technology and was the weapon of choice for millennia, supplanted only by the invention of the bow and arrow, which occurred at least 1,000 years ago in North America. We know the word atlatl comes from the Aztecs who used the weapon to penetrate the armor of Spanish invaders. However, we have no idea what the people who camped at Meadowcroft called it. By definition, prehistory does not come with written records, so we only know this weapon was used in our region from the evidence uncovered through archaeology. A 12,000-year-old stone point, which may have been used on an atlatl dart, was recovered at the Meadowcroft Rockshelter. This ancient weapon has seen a modern, sport competition revival with the World Atlatl Association. 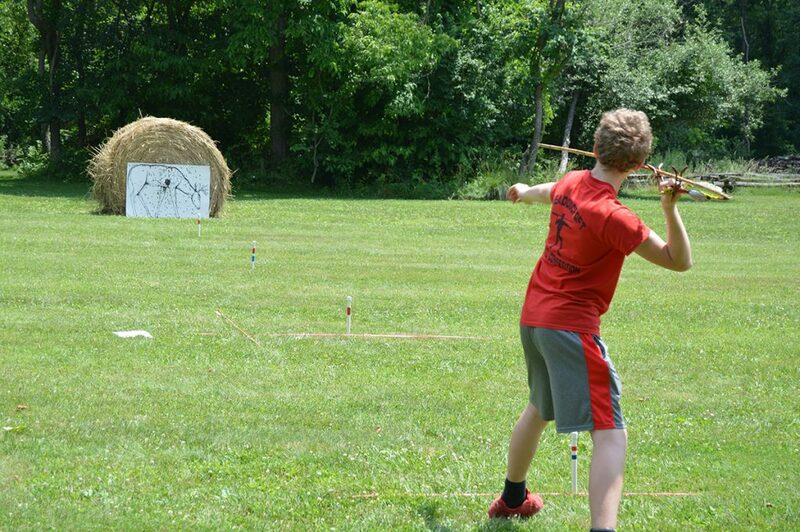 Every year in June, Meadowcroft teams up with these atlatl enthusiasts to hold a competition at the museum. Meadowcroft has hosted some of the best throwers in the world with the seven-time world champion in the men’s division and the four-time youth division champion participating again this year. 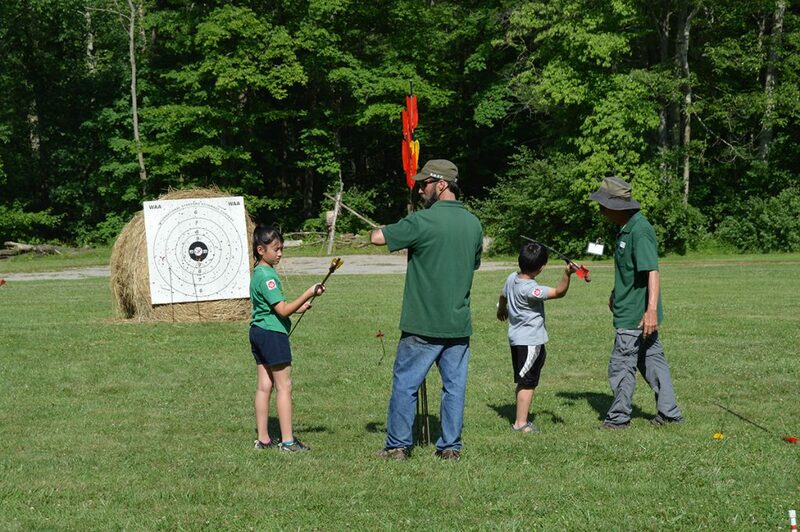 But the Meadowcroft atlatl competition isn’t just for the experts. 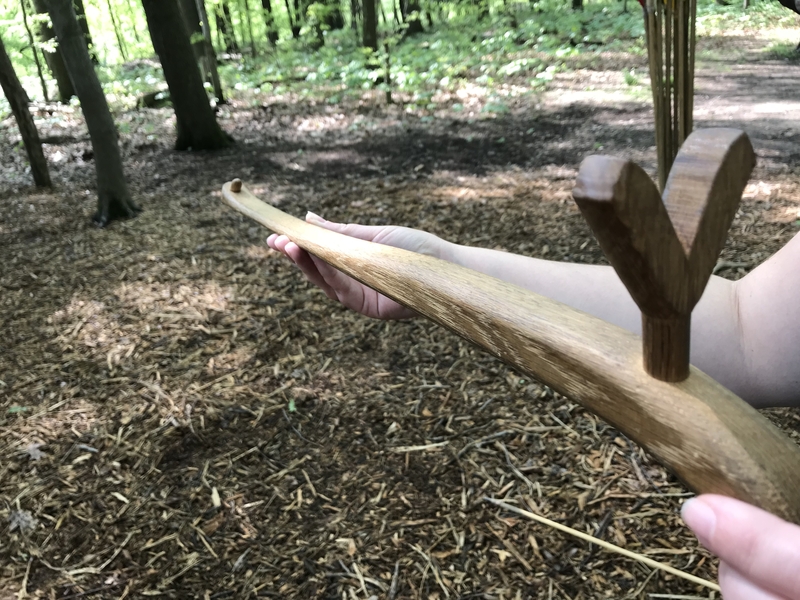 Even if this is the first time you have heard the word atlatl, you can try it for yourself and even enter the competition at Meadowcroft on June 16. Beginner atlatl participants during the 2017 Atlatl competition at Meadowcroft. Dave Scofield is the director of Meadowcroft Rockshelter and Historic Village.